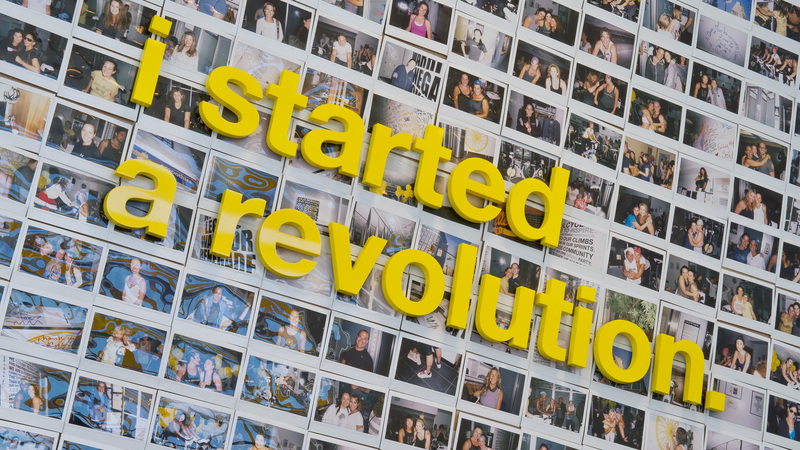 How did you discover SoulCycle? I wanted to add some high-intensity exercise into my workout regime and my husband had started to go to SOUL, so I thought, why not? That’s great that you both can share SOUL. Tell us about your first ride. I was so scared. 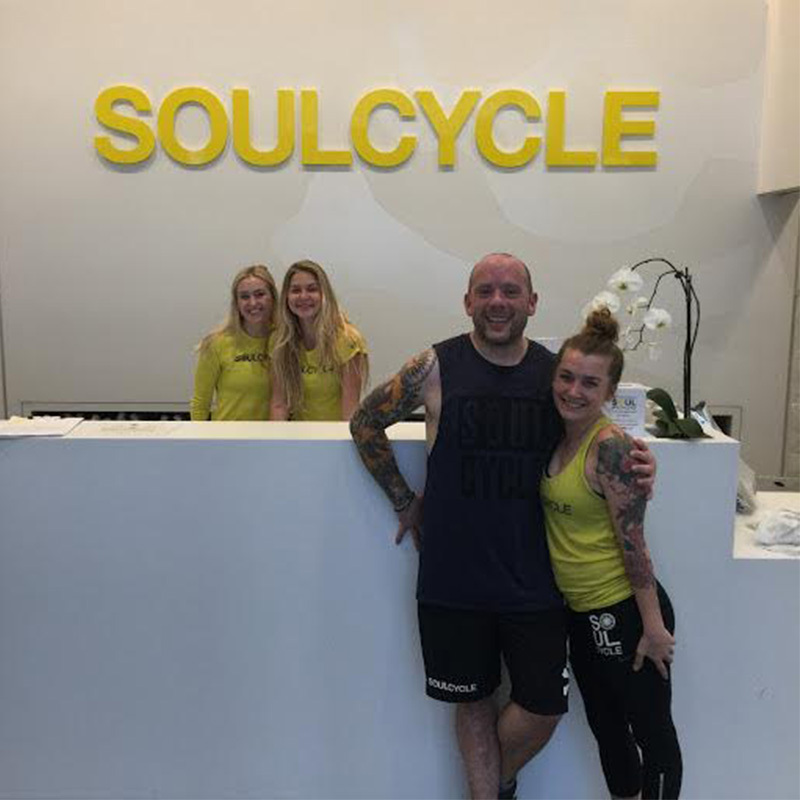 I had only ever been to two indoor cycling classes before my first SoulCycle class this past July — and I had walked out halfway through both of them. I really don't like getting hot and sweaty or being shouted at in a dark room! But I felt the fear and did it anyway! What an amazing outlook to have right out of the gates. What kept you coming back? The endorphin rush that I felt after completing my first ride. The welcome I got from the front desk team at SOMA. MK's energy [she was my first instructor], and the compelling warmth and friendliness of all the instructors I then met... Andrew, Molli, Jenna, Chris. It was all incredible. I love the community! Oh, and the fact that I saw changes in my body, mind and soul… that's pretty cool too! What changes did you see in yourself? Since July I have done over 70 rides. I'd say it's impacted me pretty significantly. I have dropped two inches from my waist, lost 16 pounds and have tapped into a new reserve of energy from within. I'm sleeping better, thinking better and I'm nicer to myself. I celebrate myself a little more than I used to. We're so happy for you! Do you have any favorite rides that you’ve done? I loved my first ever SoulSurvivor ride with Andrew. I thought I was going to die. But I didn't. Then there was my first ever 90-minute ride with MK, which was Britney Spears-themed. It felt like it was over and done with in moments. And then there's the moment Molli S. absolutely kicked my a** by turning up my resistance for me. They are all amazing. That’s beautiful. We’d love to hear any favorite memories you have with the SOUL fam? I was on the back of a bike finishing a ride led by MK. It had been a particularly contemplative ride for me. I had been thinking about some feedback I'd received at work and was chewing it over in my mind quite a lot; I'd had a sleepless night because of it. Then, as the music quieted in the second-to-last track, MK said, "Just because there's room to improve, doesn't mean to say that where you are is bad.” I burst into tears. The message came at just the right time for me. In the darkness, on an endorphin high, all of a sudden I felt renewed. It was such an amazing thing to experience. We’re so glad that the pack has been able to help you tap into those feelings! SOUL has changed my life. And I am not exaggerating. I travel around the world a lot on business — Japan, Singapore, India and the UK, to name a few places — and when I'm away I even seek out other indoor cycling studios so that I can keep my fitness up. But there's nowhere in the world quite like SOUL. I am always pleased to come home and get a warm welcome from my #SOULFam and an energy boost from MK, Andrew, Jenna, Molli or Chris.